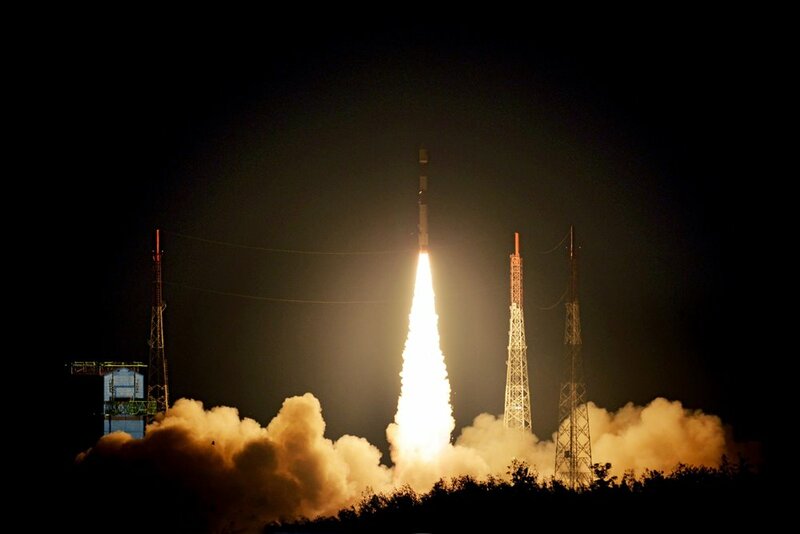 It was great to see another successful launch last weekend by ISRO, the Indian Space Research Organisation, and the delivery into orbit of the S1-4 and NovaSAR satellites built by Surrey Satellite Technology Ltd (SSTL) of the UK. And we’re particularly proud of this new project because we’re supporting the S1-4 mission during its Commissioning by carrying out the geometric calibration and validation of the image data. Over the next few weeks we’ll be looking closely at the S1 imagery to determine and validate the sensor model values best suited to generating image products with the highest possible geometrical accuracy. This is the same role Spacemetric has performed previously for many other SSTL missions, including the S1’s three sister satellites, the DMC3s or Triplesats.